Citizens will get new license plates with the code NMK, and while they are in the making, vehicles will get NMK stickers on the existing plates. 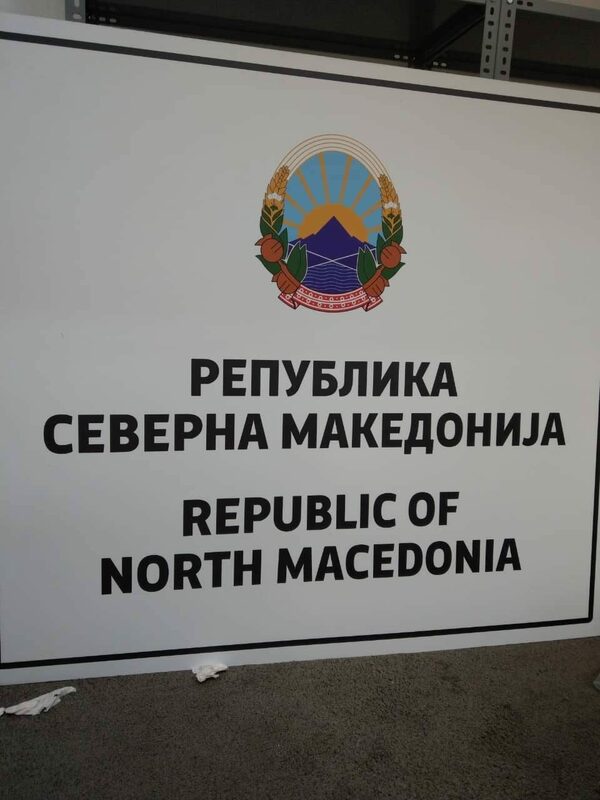 Also, the existing passports will be stamped and marked as passports of the Republic of North Macedonia, while the new passports with the new name will be issued later this year. “The Interior Ministry will start issuing new license plates within 4 months. In the meantime, as a transitional solution, the Interior Ministry will provide “NMK” stickers for license plates for vehicles. The Ministry of Interior will undertake the necessary measures and activities for implementing a solution in the transitional period until creating technical assumptions for issuing new travel documents. New passports will be issued at the end of 2019. In the transitional period, existing and newly issued passports will be stamped with an explanation that the travel documents belong to the Republic of North Macedonia,” the Government informed.